Returning students will receive a discount based on the number of consecutive years that they have been with us! 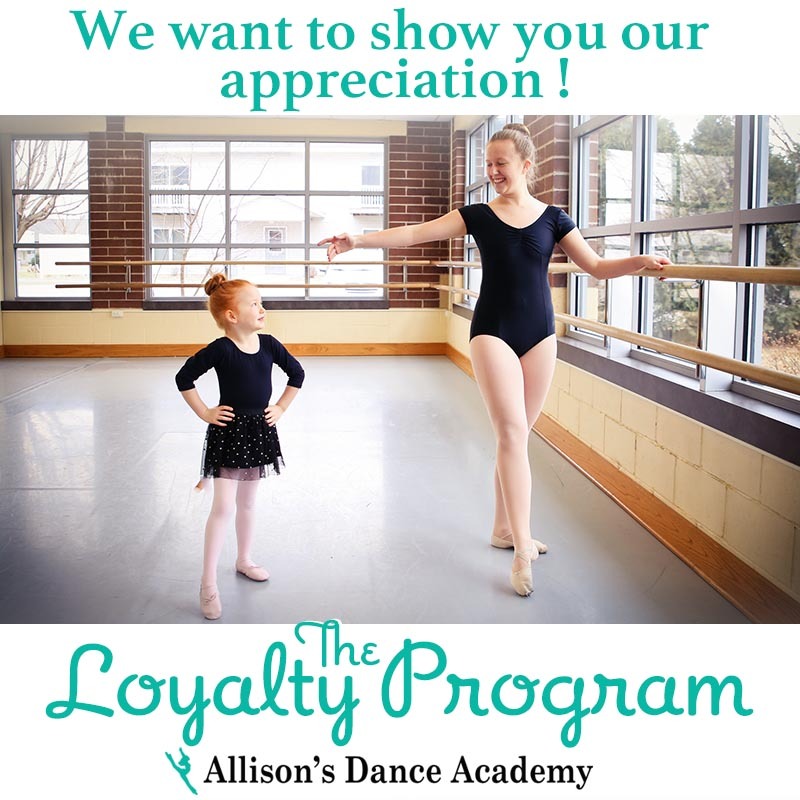 We are implementing this program because we want to show our appreciation to our students and families who have shown dedication to the arts and loyalty to Allison’s Dance Academy. Click here to enroll in classes. Click here to view the variety of classes your child can take to become a well-rounded dancer.